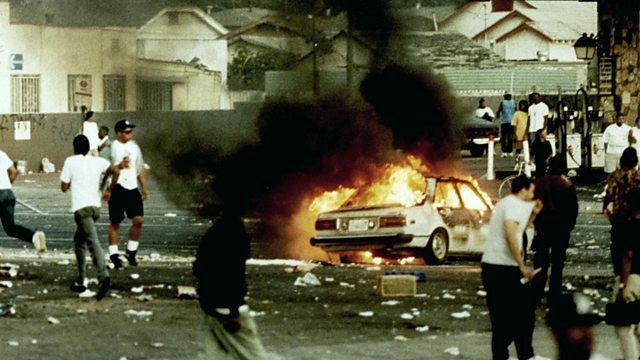 Following the conclusion of trial of the police officers accused of beating Rodney King, Cooke details the violent disturbances in Los Angeles happening in the wake of the verdict. What caused the 1965 Los Angeles Watts riots and what do they say about America? An exploration of the issues of race surrounding the O J Simpson trial.